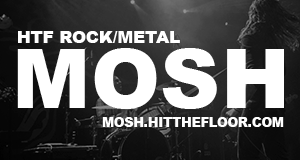 Camden Rocks’ Second Announcement is HUGE! As you can probably see from the new festival poster, the bill for Camden Rocks is growing, and boy does that lineup keep looking better and better! Joining the likes of Funeral for A Friend, …And You Will Know Us By The Trail Of Dead and Heaven’s Basement are a handful of brand new names including: Ginger Wildheart, Anti-Nowhere League, Richie Ramone of Ramones, Menswear (20th Anniversary Show), Jettblack, Dolomite Minor, Polar and Brawlers. The fully announced line-up can be seen in the poster attached above. That’s not all! Over 100 acts are still yet to be announced; including a very special secret headliner! So be sure to watch this space. 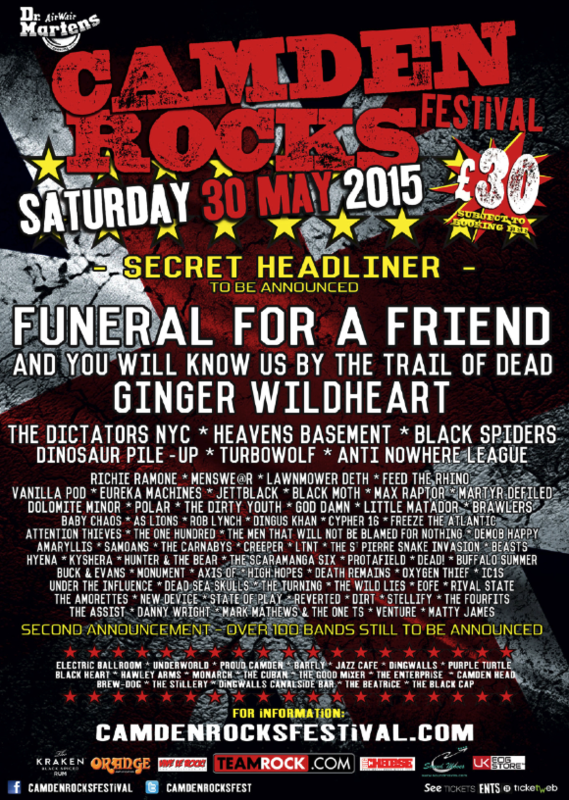 Camden Rocks takes place Saturday 30th May 2015. Tickets are currently available via this link. Next articleletlive.’s Jason Butler Is Launching A Lifestyle Brand – Including Beard Oils!